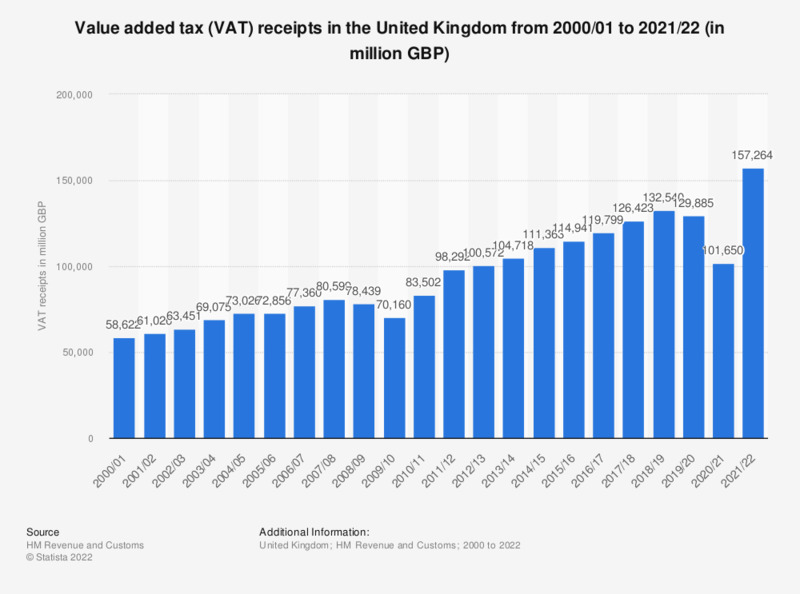 This statistic shows the total United Kingdom (UK) HMRC VAT receipts from fiscal year 2000/01 to fiscal year 2016/17. There was a large drop in receipts from 2008/09 to 2009/10, although figures recovered to pre-2008 levels by 2010/2011. Everything On "Tax in the United Kingdom (UK)" in One Document: Edited and Divided into Handy Chapters. Including Detailed References.